From left: Celia Jones, Gianna Horvath and Fath Gworek. Three Grand Island High School DECA students created a new event as part of their "Community Service Project", for this year's DECA competition. The "Mini Ride for Roswell", is a smaller version of its very popular counterpart, where people bike to raise money for this very worthy cause. DECA members Faith Gworek, Gianna Horvath, and Celia Jones came up with the idea and pitched it to advisors Cheryl Chamberlain and Mary Jane Fonte so that they could present it at the Veronica Conner Family Fun Night last week. The event involved riding a tricycle around a course for time and middle school students were challenged to beat teacher's times that were set previously. 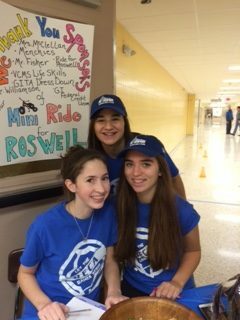 The event was a rousing success and many students were excited to receive prizes donated by the original Ride for Roswell. 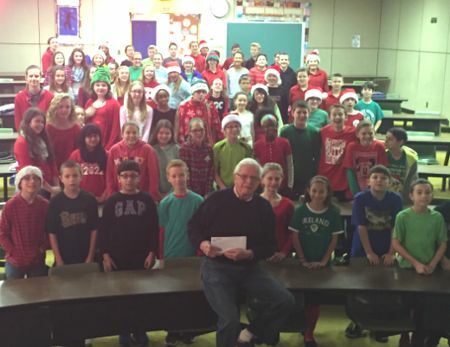 Other major contributors to the event were the Grand Island Teachers Association Dress Down fund and the VCMS Life Skills class. In addition to coordinating the event the girls will also have to develop a business plan and present it to judges at the annual NYS DECA Career Development Conference in Rochester this March. Gworek, Horvath and Jones would like to thank everyone who participated in their Ride and look forward to presenting at the conference. The Connor Middle School Family Fun Night will be Friday, December 4th from 6:00 - 9:00 p.m. at the school. There will be games, prizes, a cake walk, huge basket raffle, book fair and vendors. Refreshments will be available for purchase. See flyer for details. Veronica Connor Middle School offers a summer enrichment class for incoming 6th grade students. The class called 'Middle School Experience', is designed to help 6th grade students prepare for transitioning to middle school. In a two-hour session, students will tour the middle school, practice opening a locker, and gain information about the bell schedule, clubs and activities, and other valuable procedures and tips. There are six sessions available during August 25, 26 and 27. 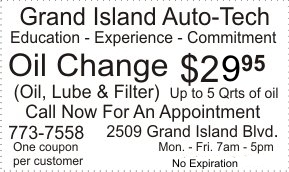 Students may register on-line in the Grand Island Schools Community Education page on the Grand Island Schools website. See page. The Connor Middle School PTA treated teachers to a farewell breakfast aboard the "Loveboat" on the last day of school. 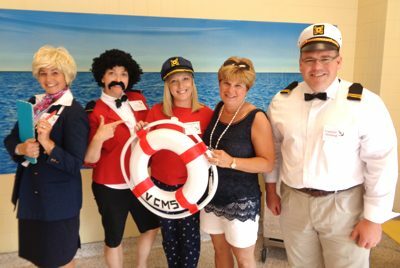 Staff were greeted by cruise director Julie McCoy, (Lisa Fabiano); bartender Isaac Washington (Carrie Meaney), hostess Dorothy Garcia; special guest Mary Jane Fonte, and Captain Stubing (principal John Fitzpatrick). Additional crew members were Betsy Cali, Kathy Cheng, Trish Eichel, Melanie Loss and Sarah Sander. Front row: S. Sommer, B. Neeson (captain), J. Gleave, A. Chiarenza (co-MVP), H. Chorey. Second row: G. Carey (statistician), E. Cool, A. Schoener (asst coach/player), M. Montes (asst captain, co-MVP), L. Robinson, R. Meaney (head statistician). Third row: A. Lepenven, H. Cool, E. Kwiecinski, A. Andrews, G. Bergstrom. Back row: S. Sipe, N. Turck, M. Wieberg, S. Bailey, Coach A. Meaney - Click photo for larger view. 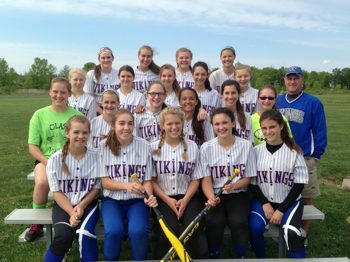 Your lovely Lady Vikings of modified softball posted another undefeated Niagara Frontier League campaign, albeit not a perfect season. The girls were 11-1-1 overall, their only loss was a close one at the hands of visiting Eden of the ECIC. And the tie? 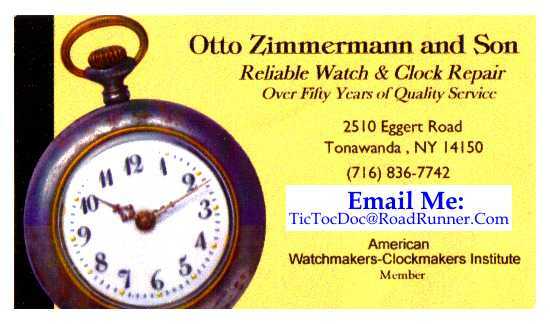 An unbelievable decision by an umpire crew that left players and fans wanting more quality softball with North Tonawanda. Hopefully it leads to a rule clarification for future contests. Neither game though could mar the outstanding overall performance and grit of the 2015 squad. Only six seventh graders donned the modified uniform this year as it was heavy with returning and first year eighth graders. The three catchers on the team were all seventh graders; Morgan Wieberg, Erin Cool, and Emily Kwiecinski. Morgan hit two triples in her final game of the season, a nice way to go out. Erin Cool was having a solid season until a late injury sidelined her and her .450 batting average. Emily Kwiecinski was a sniper behind the plate, picking off runners on third with reckless abandon. Six opposing players went back to their bench when they were only 60 feet from home. Avery Andrews showed great promise as a pitcher for next season as she was very confident and consistent in the circle. Gabby Bergstrom played a solid shortstop the whole year. She batted cleanup and also lead the team in walks while keeping the infield focused. Our final seventh grader was Makayla Montes, assistant captain and co-MVP for 2015. She scored 29 runs and had 34 stolen bases to go with a .624 BA. Makayla was a live wire who played the hot corner all season. Makayla's bat, glove, and game are ready for the high school; she had a great deal of fun and played the game hard. She was a good team-mate and a good example of how to come to the ballpark everyday. The eighth graders were a large group; a team within themselves! Natalie Turck batted .650 on the season and hit the ball hard. Alisen Lepenven played an attentive outfield and batted .400. Sam Bailey, an outstanding athlete on the hardwood and "football pitch", held her own between the white lines batting .333 with two triples. Hannah Chorey played inspired outfield and was on base four of every 10 at bats. Lindsay Robinson played some solid middle infield and batted .542 while Shay Sommer posted a .500 BA by hitting some of the hardest hit balls of the season. The returning eighth graders were a solid core around which to build. Hannah Cool was very sure-handed in the field and the bat (three triples and a .500 BA). Savannah Sipe played a reliable first base and also posted a .500 BA. But, when all is said and done, you cannot compete in this game without pitchers and Jenna Gleave and Bridget Neeson pitched 80% of the season's innings. Jenna led the team in earned run average (4.10) as well as posting her own on base pct. of almost .700, which made her a threat with both her glove and her bat. Bridget also brought both parts of the game to the field; she led the team in doubles and pitched half of the team's total innings. Bridget was the team captain, posted five wins in the circle, and batted .478, a very important cog in the wheel. And finally, Alexa Chiarenza. Alexa is a player that leads without a title. Other players play better because of the confidence she gives them that a contest can be won. Alexa led the team in hits (as lead-off hitters often do) and runs batted in (which lead-off hitters often do not). Bridget Neeson and Alexa Chiarenza played modified basketball and softball in 7th and 8th grade, for a total of four seasons. Over that time, their teams' combined records were 55-2-1. That speaks for itself. Others who made the season a success were Assistant Coaches Lindsey Diehl and Allyson Schoener. Their assistance in the gym was important. Although a loss to the team when she left the first base coach's box, Allyson actually was on rehab and participated in the final four games. She produced a .625 on base percentage with some solid fielding. She will be a tremendous asset to the JV squad next year, as will all of the players moving up. And finally, a tremendous thanks to our statisticians who contributed mightily to a memorable season: Grace Carey, Bri Russell, and Head Statistician Rose Meaney. Numbers are important. Looking forward to seeing and hearing great things from all of those involved over the next bunch of years. Savanna and Asst. Principal Hawkins, beginning the day. In gym class, playing badminton. 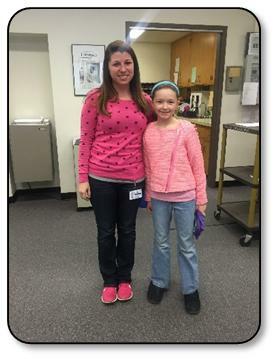 Recently hired VCMS Assistant Principal Danielle Wallenhorst Hawkins decided to shadow a student for a day in order to gain some insight into "this valuable point of view". See her story. The Student Council at Veronica Connor Middle School held "Operation Duct Tape" on Friday, March 27th in the cafeteria. The fundraiser, at which Principal John Fitzpatrick was duct taped to the wall, benefited the Children's Hospital NICU. During lunches that day, students purchased a piece of duct tape and a heart for a $1. The heart was part of a Valentine's Day event that was cancelled due to the school closing for a snow day. Teachers/advisors were Deanna MacDougall, Tracey Shores, Debbie Coram and Jill Ungaro. Connor Middle School will be holding a fundraiser on Friday, March 27, 2015. For a dollar donation, you can purchase a heart for a friend or a loved one and get a piece of duct tape. We will be duct taping Mr. Fitzpatrick, VCMS Principal, to the wall during lunches. All proceeds will go to the NICU at Children's Hospital. Lunch periods are: 10:44-11:15 - Gr. 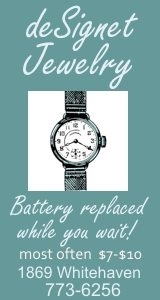 6, 12:29-12:00 - Gr. 7 and 12:14-12:45 - Gr. 8. Jagger Click with a botanical ink drawing. Ryan Wellence with a non-objective painting inspired by music. In celebration of March as "Youth In Art Month", Veronica E. Connor Middle School proudly announces an art display at the Grand Island Memorial Library featuring the works of 24 eighth grade students. The show is designed to hi-light both cognition and creation. A wide variety of student work including pieces completed in graphite, pastel, collage, paint and photography can be viewed during regular library hours throughout the month of March. Since 1961, Youth In Art Month has been an annual observance that is designed to make known the value of art education for all student. It is designed to support and highlight quality art programs within the nation's schools. Among its many goals, this annual observance seeks to direct attention to the value of art education as an important component of the total student experience and educational curricula within schools. Recognizing that art education fosters understanding which helps develop citizens of a global society, Youth In Art Month seeks to make communities aware of the divergent and critical thinking skills inherent in art-based learning. Creative ideas, acquisition of new skill and facility within a variety of media, as well as depth of thought and idea is apparent in the art display. VCMS students have reason to be proud of their artistic accomplishments. Their work not only illustrates the ways in which they are meeting the rigorous New York State Standards for the Visual Arts, it also more importantly demonstrates a degree of visual literacy attained by these students who are effectively learning to use visual media to synthesize ideas give voice to their own unique artistic vision. 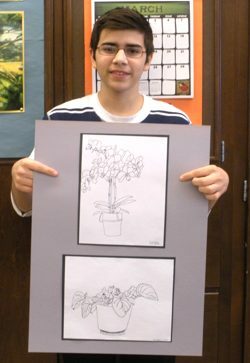 The work represents a small portion of the learning taking place by students during their art classes within the middle school. Cognitive, expressive and creative problem-solving skills are evident. Artworks that make interdisciplinary connections, engage students in visual problem solving and incorporate higher order thinking skills can be seen throughout the display and visually demonstrate the various ways in which middle-level learners meet the New York State Standards for the Visual Arts in their classes. Student artists on display are: Anastasia Ackerson, Quinton Becker, Brianna Beyer, Justin Chadima, Alexa Chiarenza, Jagger Click, Allison Dragonette, Julia Eichel, Camryn Fisher, Georgia Giogas, Faith Gworek, Brianna Hays, Candiss Holm, Megan Kennedy, Emily Kurtzhalts, Amanda Lawrence, Emma Mahoney, Claire McCaffery, Kristine Schlifke, Laura Schultz, Jordan Simon, Hardyal Singh, Bailey Warmus and Ryan Wellence. The community is cordially invited to view the "Youth In Art Month" show, as well as a second display featuring the work of sixth and seventh grade students to follow during the month of April. Camryn Fisher with one of her recent pieces. 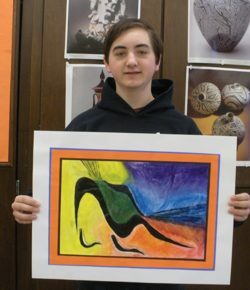 Each year, the Art Department of the Grand Island schools recognizes many of its top artistic achievers with the "K-12 Artist of the Month" award. The award which is presented to ten students annually highlights the accomplishments and achievements of district students who excel artistically and who creatively solve problems by using a wide variety of media to express and find their own unique artistic voices. 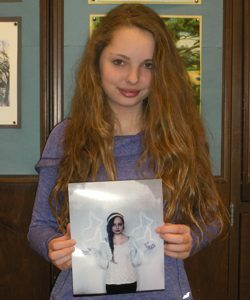 Veronica Connor grade eight student Camryn Fisher, was selected as the K-12 Artist of the Month for February, 2015. Camryn is pictured with one of her recent art works. Camryn is a creative art student who displays an exceptional eye for detail and is visually inspired by the world around her. She consistently displays an ability to think outside the box as she creates beautifully narrative art with her camera. Several of her pieces have been selected for the March Youth In Art Month display at the Grand Island Public Library. Camryn's primary artistic interest is in photography and in digital media. She finds inspiration in many places and her love of the ocean and all marine life is a recurring theme in her work. Her teachers and peers are impressed by her ability to transform imagery into personal, narrative works of art. The Art Department of the Grand Island Schools is proud to recognize this student's exceptional artistic achievements and unique creative voice and vision by honoring her with this special designation. Kneeling: G. Carey, Capt. J. Pachla, B. Wolcott, R. Colan, S. Dworak. Sitting: E. Cool, K. Hutton, K. Stedman, M. Montes, Centurion A. Chiarenza, J. Eichel, Asst. Capt. A. Blair. Standing: E. Halpin, B. Neeson, R. Meaney, A. Wilkes, B. Eichel, G. D'Addario, A. Andrews, Coach A. Meaney. Missing from photo: E. Mahoney. - Click photo for larger view. 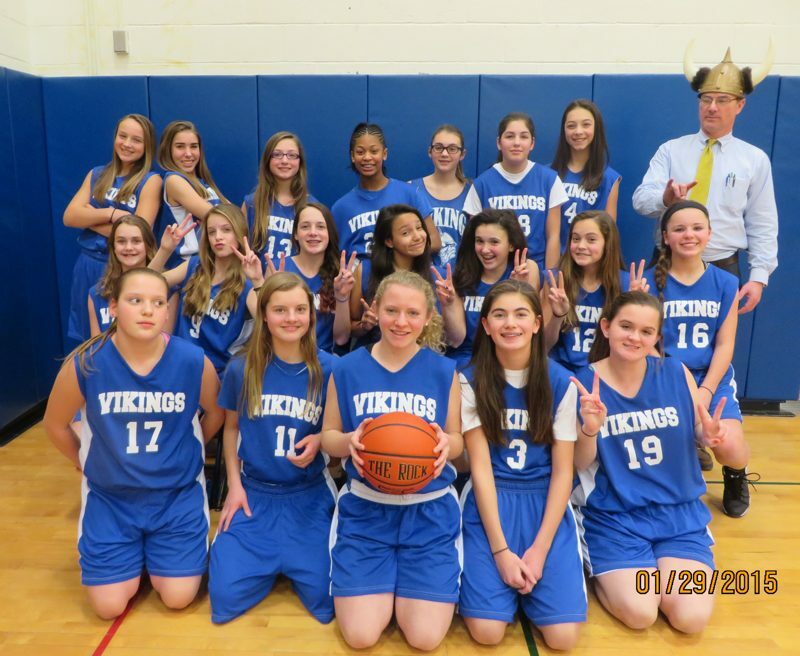 Your lovely Lady Vikings ran the modified basketball gauntlet this season, sweeping the Niagara Frontier League and two non-leaguers, to go 16 and 0 for the 2015 campaign. The girls were ready to go after putting down their drumsticks at Thanksgiving - the returning second-year players wanting to improve on last year's 15-1 mark and the newbies following along. The team was a healthy mix of seventh and eighth graders, demure and demonstrative personalities, as well as basketball players and just plain athletes. An undefeated season is a rare event that is not experienced by many; hopefully the players find a quiet moment to savor it. Some of their toughest competition came from cross-town rivals, the St. Stephen's Eagles, in the annual home-and-home Pork Chop Classic. These were two very good contests that highlighted the quality of girls' basketball being played on the island. The seventh graders made quite an impact in their first go-round through modified basketball. Kira Hutton and Kiara Stedman took their soccer skills and applied them to basketball (as is often the case on Grand Island!). Hutton and Stedman played suffocating defense and did not shy away from contact within the game. Geanna D'Addario had some more basketball experience and it showed on the free throw line as she was one of two GI players to be perfect from the charity stripe for the season. Mikayla Montes was another player who brought everything she had to each game. Mikayla often ended up with a loose ball or rebound because of her tenacity. Avery Andrews will be a force inside next year as she perfects her post moves in the off-season. Avery learned how to use her height to affect shots and collect rebounds. Amiah Wilkes was a very pleasant surprise as she played defense as if she knew where you wanted to go and could hit the baseline jumper with regularity (40 points). Amiah considered every loose ball hers and fought to every whistle. Our final seventh grader was Assistant Captain Abby Blair. Abby was new to the game at Thanksgiving, but proved to be an excellent student. Abby worked harder than any player in some time to master the finer points and could often be seen at a basket by herself trying to improve her jump shot or left-handed layup. There is no substitute for an internal desire to improve, no matter the subject. 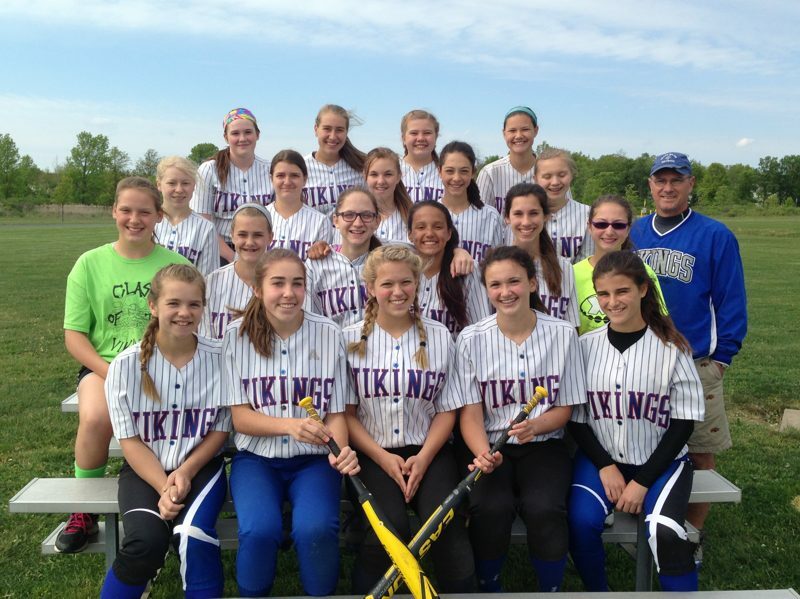 Eighth graders were all returners, except for the addition of one Julia Eichel. Julia is another in a long list of GI soccer players who quickly learned to apply the principles of the world's most popular game to Naismith's YMCA invention from 1891. Julia was another defender that often was assigned the quickest player on the opposing squad and, as the season wore on, found an excellent scoring touch that put in 58 points - expect more of the same on JV next season. Julia was a welcomed surprise because of the loss of an expected major player early in game two ~ Emma Mahoney. 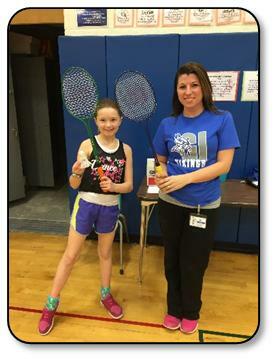 Emma was a strong seventh grader last year, looking to make her mark this year in eighth grade. A knee injury on a breakaway ended her playing time for this season, but she will certainly be a force for good on JV next season. Emma was with the team throughout though, as every huddle was broken with "Emma" or "10". Another Emma that lost some significant playing time was Emma Halpin. Halpin was putting together a nice set of numbers before coming down with a back injury later in the season. Emma Halpin's jump shot will look good for JV next season. Ryann Colan also had a quietly successful season as she changed from guard to forward. She often found a rebound in her hand and put in a solid putback or found a seam to receive a pass. She, too, will be a help to JV. Bridget Neeson came in full of energy and played defense with tremendous effort. Bridget was a good jumper and pulled down her fair share of rebounds on both boards. Bethany Wolcott fought hard to be part of a top-six rotation that was used in the closing minutes of games. Bethany has a true desire to play and has a nose for the ball as she put up 30 for the season and strived to play textbook defense. Bethany and Bridget will also help JV. Our final two players were Alexa Chiarenza and Jordan Pachla. Alexa was the team's Most Valuable Player, a force on both sides of the ball. She had excellent anticipation on defense and a wonderful scoring touch both inside and outside. Alexa led the team in free throws made and attempted and scored over 100 points on the season (107) to make her Connor Middle School's 15th Viking Centurion in 22 seasons - quite a prestigious accomplishment. Alexa was a wonderful teammate, always supportive and always looking for the open player from her point guard position. Jordan was also a tremendously important cog in the machine this year, leading through example as well as through word. Jordan ran an efficient floor that often shut down opposing offenses. Jordan posted 70 points on the season, second highest on the team. Jordan was a threat from either side on the layup as her off hand is better than some players' strong hand. The JV program will be in great shape with these two players in the fold. And finally, some thanks - thanks to the managers, Sydney Dworak (8th) and Erin Cool (7th). The managers got into a number of games and played well. It is a good deal of work and they helped make it a memorable season. Thanks also to the statisticians, who kept a detailed and accurate story of the season in the score book. The trio of Grace Carey, Brooke Eichel, and Rose Meaney painted a picture that made you feel you were there while reading it. Thanks as well to the families of the players who traveled high and low and supported the girls throughout the grueling season from Thanksgiving to Valentine's Day. Best of luck to those going to the high school and keep playing(!) to those of you coming back next season.